An established firm with a vision to change the statistics of success for businesses. After years of trading evirtualFD are moving to a franchise model so that they can reach more businesses across the UK. 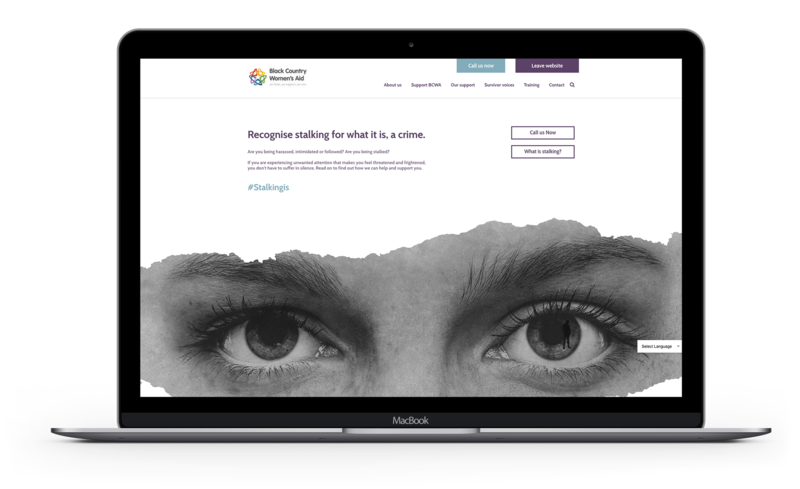 We were delighted to have the chance to rebrand the firm, create a new website and marketing implementation plan to reach small and medium businesses and franchisees. 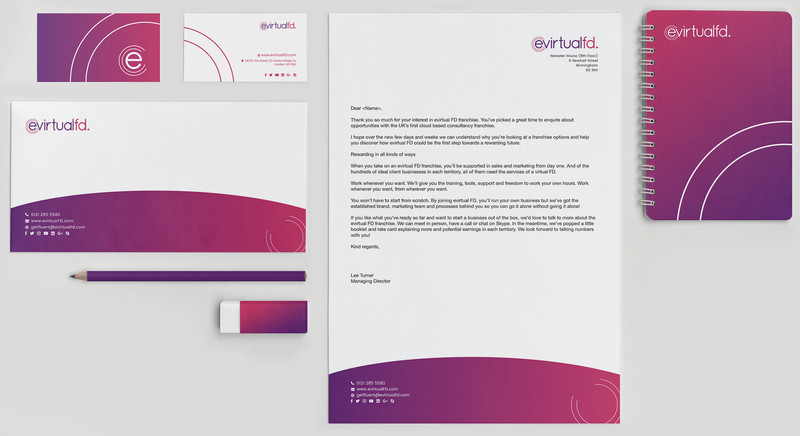 After getting to know the company and researching the franchise market as well as the financial sector we really felt there was an opportunity to step out and step up in terms of branding, design and vibrancy. The brand system is sleek and minimal with colours reversed for businesses or franchisees. Rather than focussing on cliché imagery we went with bold messaging and typography centred around ‘fluent in financials’ which was the proposition developed during brand discovery. We are now implementing a social media and content plan for the company and received fantastic coverage for the firm in Forbes Magazine so far.